The other day, Mom stayed home from work because she was sick. 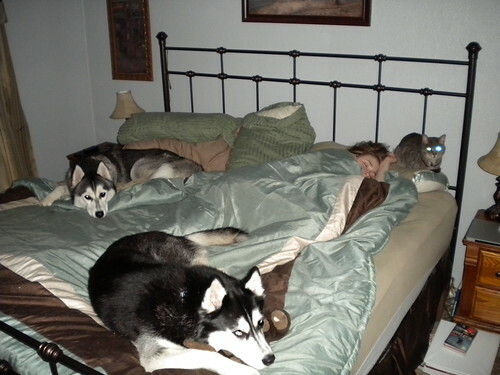 When Dad came into the bedroom to tell her goodbye, this is what he found. Please excuse our eyes, the lights were off in the room when Dad took the picture. So as you can see, we are very good at taking care of our sick Mom. Mar 27 We've got mail!